A couple years back, I started a series of “feminist takes” on Doctor Who companions, including Amy Pond, River Song, and Clara Oswald. I looked at ways they were, or were not, poster children for feminism. But after three posts on Clara Oswald, I just plain gave up. She was such a squirrelly character that I couldn’t say anything definitive about her. As far as I’m concerned, she breaks feminist analysis. Maybe it’s a mistake to give characters “poster child” awards. Here’s a recap of my commentary from Season 7. In the first post, I suggested that the character of Clara was suffering from a Bechdel test failure, but that even so, she was pretty amazing — in face, a mirror of the Doctor. In the last post, I admitted defeat. I thought Modern Clara was a cardboard cutout of a person, but when you combined her with Dalek Clara and Victorian Clara, you got a rich characterization. But I decided to hold my opinions for later. I didn’t put a post together after the stunning reveal of “Day of the Doctor.” To be honest, I didn’t know what to say. It was just beautiful and strange and blew my mind. After “Day of the Doctor,” I believed everything Clara said and did. Dalek Clara and Victorian Clara suddenly made sense. Modern Clara did not. Modern Clara was acting like the post-transformation Clara. That’s going to bother me every time I watch Series 7. But it’s a critique of the narrative, not of the feminism. So I didn’t make an update. Clara was amazing through most of Series 8. She was part human, with all the frailties and strengths a woman would have. But her character was also merging with the Doctor’s. I loved that. As a Doctor Who fan, part of me has always wanted to run off with him in the TARDIS and be his “Doctor Who Girl” (nod to Mitch Benn). And part of me has always wanted to be him. So I got to live vicariously. The episode “Flatline,” where she gets to play the part of the Doctor while he’s stuck inside her Mary Poppins carpetbag, was funny and amazing and thought-provoking too. Loved it. Also fabulous: Series 8 Clara is transformed. She’s jumped into the Doctor’s – what? Mind? Time stream? She’s been thousands of people who were just as amazing as Dalek Clara and Victorian Clara. After that transformation, I believed every “too good to be true” moment. Not so great: the narrative didn’t respect her transformation. She got this weird plotline in which she was trying to have a normal life with this Danny Pink character, but she kept lying to him, and she was blamed for all the lies. The Verity podcasters suggested it was an addiction storyline, which I guess it was. But why? Why expect that it would ever be possible for post-transformation Clara to live a normal life? The disconnect jarred me. But once again, it’s a critique of the narrative, not the feminism. Now here we are in Series 9. This is the “Clara is going to die” series. Also the “Oh, and then she didn’t” series. But in “Face the Raven,” she really did. Except the actress is going to appear in the series finale, “Hell Bent.” How-what-who-I-don’t-even-know-what’s-going-on. So I have nothing to say, really. I’m on a roller coaster and it’s about to plunge into the depths of the unknown. Maybe when the ride stops, I’ll have something sufficiently feministy to say. This post is part of a series of feminist takes on Doctor Who companions. I ask these questions: Are they strong? Do they get to be the protagonists? To what extent are they the equal of the Doctor? Which stereotypes do they fit into, and which do they resist? So far I’ve looked at Amy Pond, River Song, and Clara Oswin Oswald, all characters from New Who. Now it’s time for me to jump back in time to my favorite companion ever: Zoe Heriot. If you’re looking for a critique of feminist aspects of her character, you won’t get any here. Somebody else can criticize this or that. Nope, it’s pure appreciation. I adore her. She was the first female companion I’d ever seen, and if it hadn’t been for her, I doubt I’d have even started watching Doctor Who. Zoe Heriot is the Wheel’s parapsychology librarian (which means that she’s received brainwashing-like training in logic and memory), an astrophysicist, an astrometricist first class, and a major in pure maths. She was emotionally underdeveloped at first. But after she met the Doctor and Jamie, who taught her the power of intuition and instinct, she decided to set out on a journey of personal growth by stowing away on the TARDIS and becoming an Adventure Hero. She was an Adventure Hero par excellence. Brave, smart, thoughtful, full of initiative, curious, you name it. And she developed emotionally pretty darn fast, building warm relationships with Jamie and the Doctor. She was a bit of a screamer. That’s the 1960s for you. But honestly, faced with the horrors she saw, I’d scream too. And her screaming wasn’t at all out of place: her Doctor was the panickiest Doctor ever. Zoe was also Jamie’s equal. Jamie was a Highland Scot from the 18th century. He’d left a war for independence to travel in the TARDIS, but he was ready any minute to jump back into the fight. They complemented each other nicely: Jamie fought with his hands, and Zoe with her mind. Both were young and depended on the Doctor at times, but took initiative whenever needed. She was also a match for the Doctor, intellect-wise. In “The Krotons,” she beat the Doctor on a computer-based test. I think this was my very favorite moment. 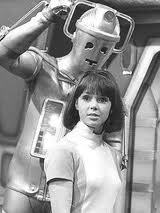 As a young woman myself, in school, I was so excited to see a woman be smarter than the Doctor. At other times, she conversed with him in scientific gobbledygook — something few of his companions have done since. Her ending was not ideal. The Time Lords wiped her memory, just as the Tenth Doctor later did to Donna Noble. That was unfair! But at least she got to retain the memory of her first adventure with the Doctor. She resumed her life on the spaceship, and in my mind at least, her character development stuck and she led a full and happy life. Zoe: [to the Doctor] How did you pilot the rocket ship? You see, I’ve calculated its original course. It was a surface and supply station for Number Five Station, overdue and presumed lost nine weeks ago. Well the rocket couldn’t have drifted eighty seven million miles off course. Dr. Who: So what’s your theory? Zoe: Well, there is a record of the last contract with the Silver Carrier rocket. It had seven million miles to touchdown, and enough fuel for twenty million. Well, it couldn’t have drifted here off course in the time involved. It must have been driven and piloted. Jamie: Och, you are a right wee space-detective! Zoe: There’s only one solution. That rocket was re-fuelled in space. – Provided for at least with another twelve fuel rods. Zoe: Oh, it isn’t a theory. You can’t disprove the facts. It’s pure logic. Dr. Who: Logic, my dear Zoe, merely enables one to be wrong with authority. Supposing there was a faulty automatic pilot? Zoe: To drive a rocket eighty seven million miles on fuel for twenty million? Dr. Who: Well, it’s a possibility. Zoe: That rocket was driven here somehow. I know it was. Smug, isn’t she? She doesn’t back down if she thinks she’s right. Zoe is also a computer programmer. Here she is giving a computer an insoluble problem in ALGOL. 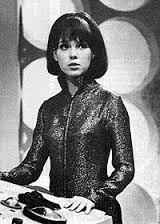 The actress who played Zoe, Wendy Padbury, went on to become a theatrical agent. In a bit of a quirk of fate, she was the one who discovered Matt Smith, the actor who plays the current Doctor. She tells the story in this Youtube video. She was also a theatrical agent for other actors who appeared in Doctor Who: Nicholas Courtney, Colin Baker, and Mark Strickson. Small world, eh? I wonder who her other clients were . . .
For the last few weeks I’ve been doing a feminist take on the character of Clara Oswin Oswald in Doctor Who (here and here). How well does her character measure up to expectations of twenty-first century feminists? This latest episode, “The Crimson Horror,” didn’t change my impressions of Modern Clara. It was a feminist masterpiece altogether. Bechdel wins all over the place, a fabulous critique of eugenics, a mixed-race lesbian couple, and eight strong female characters all in the space of a forty-eight(?) minute episode. The Doctor isn’t even the focus of the show: it begins with a chambermaid rescuing the Doctor and ends with a mixed-race girl confronting Clara with the results of a remarkable research project. Clara, though, stayed mainly the same. So I give up. There’s no “Feminist Take” here. Clara’s character is clearly headed in some direction or other. I don’t know what it is. No more updates until I find out. I do know, though, that this journey of discovery is going to be a lot of fun. P.S. Update #3, from Series 8, is here. 1) She does not seem recognizably human. She doesn’t show the kinds of human emotions or reactions I would expect from anyone, male or female. 2) Clara asks a lot of questions, but they seem like they’re mostly to explore the character of the Doctor. After this latest episode, Journey to the Centre of the TARDIS, I’m going to argue that the show is batting two out of three. The Doctor says something and hugs her. A minute later he is asking her to jump off the edge of a cliff with her. She gives him a skeptical look. Clara spends a lot of time in this episode exploring and running around the TARDIS, while the Doctor is not present. She’s got initiative, curiosity, and is overly willing to take risks. Still, I’m going to argue that they do indeed talk to one another. Here’s Clara’s side of the conversation, followed by my translation of the TARDIS’ side. 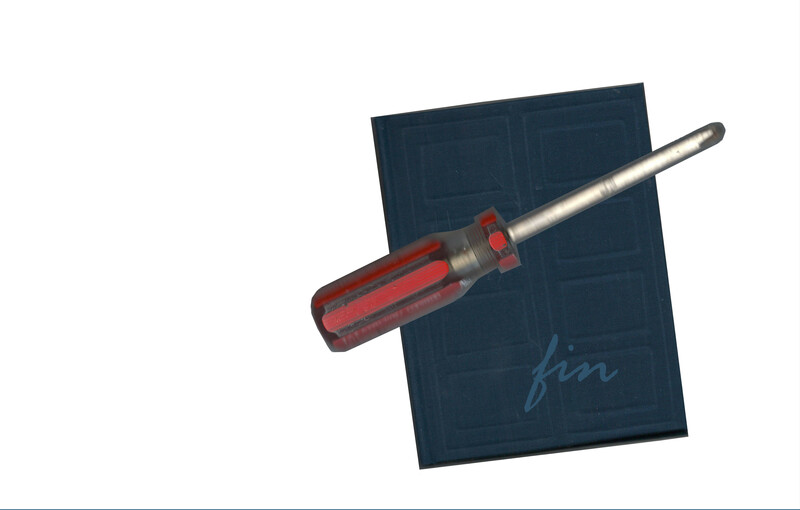 She opens a book and learns something about the Doctor, and a bottle tips over, leaking out more information. Later she is routed into the console room, where she says, “Oh, thank you thank you thank you thank you thank you thank you,” and kisses the console. The TARDIS’s side of the conversation? I would argue that the telescope, swimming pool, library, book, and bottle all qualify as conversation. It has already been established that the TARDIS is manipulating her architecture on purpose. And it has already been established that she’s a bit snarky with Clara. “It’s an appliance. It does a job,” says Clara. “And yep, my library is at its architectural finest,” says the TARDIS. “You’re just showing off,” says Clara. “Oh, thank you thank you thank you thank you thank you thank you,” says Clara, and kisses the console. Later updates to my feminist take on Clara are here and here.